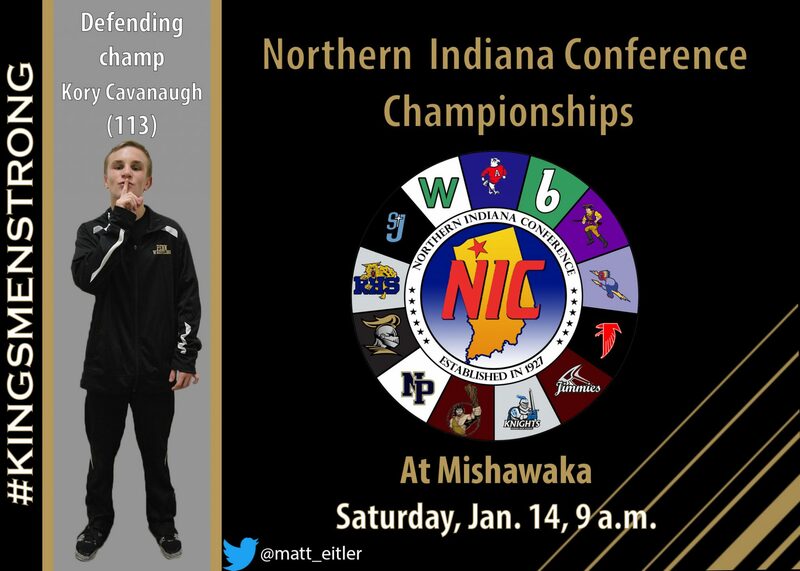 Coach Brad Harper’s Penn Kingsmen travel to Mishawaka High School for the Northern Indiana Conference wrestling tournament on Saturday, Jan. 14. Wrestling begins at 9 a.m., and finals will start at approximately 3 p.m. The teams that will be in attendance along with Penn will be Bremen, Elkhart Central, Jimtown, Glenn, Mishawaka, Marian, New Prairie, Adams, Clay, Riley, St. Joseph, and Washington. Penn will be pursuing its sixth straight NIC championship in wrestling. Kory Cavanaugh (113 weight class) returns as a defending champion for Penn. Jarod Swank (170), Trace Manspeaker (138), Preston Risner (132), and Max Chaffee (182) earned runner-up finishes last season.